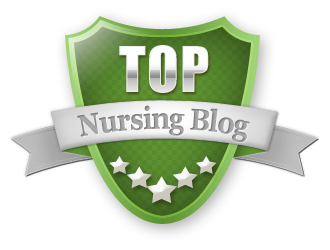 Bahala Na Nurse Blog: A BEDPAN EMBEDDED WITHIN A HOSPITAL BED? GIRL, YOU'RE CRAZY! Progress is an ongoing trend in the world of nursing. With progress, nursing technology has helped nurses increase their productivity and provide safe patient care. And as technology continues to advance, nurses remain in the forefront, using their critical thinking skills to carry on the demands of healthcare. Back in the 1800 to 1900, the main focus of nursing was to provide the physical needs of patients while maintaining a hygienic environment. Yet, Florence Nightingale saw a nursing future capable of breaking barriers and the way society looks at the profession. One boundary crossed was nurses found ways to increase patient comfort and facilitate care. A few innovations from the 1800s were the bandages, nursing bottles, bedpans, etc. 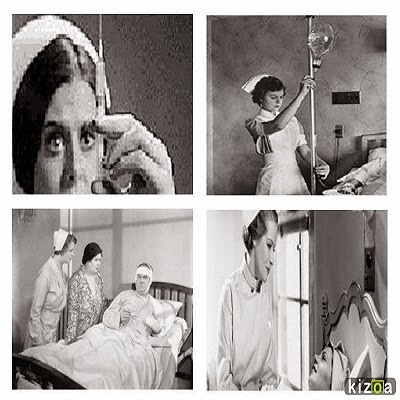 Since these paraphernalia are still widely used even today, one cannot argue that nurses as innovators had a vision that withstood the test of time. In the future, can you imagine the bedpan embedded right there in the hospital bed itself? This can be hooked up directly to a waste dispensing system and cutting down on manually dispensing patients’ waste. This will also cut back on spread of bacteria and diseases. Do you think this is possible? Back then, the possibility of devices such as PDA’s, hand-held computers, and smart phones were slim to none. Yet today, these components are widely used by nurses as part of their workflow. These gadgets enable nurses to access patients’ information through electronic health records. Additionally, nurses cannot thank the innovators enough for the implementation of electronic charting. In the future, let’s take it a little bit further and imagine nurses charting in real time through voice command and dictation. A computer program can take down the dictation and simultaneously record it in the patient’s electronic chart. "Napakarami ng posibilidad." Possibilities are endless. Another technological contribution that has enhanced patient safety is the wireless patient monitoring system. This comprehensive system monitors a patient’s core vital signs while connecting to a nurse’s handheld computer anywhere and anytime. This allows for early detection of patient deterioration, initiate a rapid response, therefore, improving patient outcome. In the future, can you visualize a hospital bed where it can also monitor a patient’s positioning? The HOB will automatically elevate up by so many degrees once it senses that a patient’s O2 sat drops to an undesirable level. We cannot get more rapid than that. An area in healthcare called Telenursing is presently achieving a rapid rate of growth as the number of aging and chronically ill population steadily increases. With the use of telecommunication, nurses continue to inspire and educate a vast amount of patient population and reaching them through technology. What would happen if Telenursing of the future also involves holographic technology? This will be very beneficial to patients that are on home health physical therapy. If they need additional assistance with instructions on how to use futuristic durable medical equipments, a holographic nurse, physical therapist or occupational therapist can demonstrate instructions clearly. Granted, one can watch it over a computer screen. But, holographic technology can achieve a more personal approach to teaching, thereby, increasing better understanding and clarity. Wouldn't that be cool? One thing is clear. Technological innovations are changing the way nurses practice - how they deliver care to patients and how they manage clinical workflows. Nurses contribute in this aspect as more nurses enter the world of Nursing Informatics. This shows that nurses continue to expand their knowledge not only in the bedside but also in areas that has the ability to impact the way healthcare enters into the future. Nurses can influence healthcare technology by building a strong collaboration with manufacturers in designing and programming tools necessary for patient care delivery. Nurses have firsthand experience in patient care. This makes more sense that their contribution with the design will be greatly beneficial. Nurses can also help in software development to better make various systems “talk” to each other in order to make data even more easily and readily available. The readiness of data availability is one factor which makes the future of nursing technology very exciting. Right now, with the introduction of Google Glass, we can only imagine what this gadget can do for nurses. Envision nurses utilizing Google Glass in their everyday work. Imagine Google glass with all kinds of medical software and system embedded into one program. Nurses can easily access all the data they need, like critical lab results, blood type, and allergies especially in emergency cases. Nurses can also electronically chart, possibly do a patient identifier through face recognition just by mere voice command. Oh, if only we could do that right now! In addition to Google Glass, picture a hospital floor where medication dispensing systems are stationed outside each patient’s room, tailored for each patient’s medication profile. A tube system from pharmacy is connected to each station for easy refilling and crediting by pharmacy personnel. This will cut down on standing in line by the Pyxis or Debold machine trying to give the 0900 meds. What about a hand held scanning device that nurses can use to assess their patients. This scanning device can measure vital signs, blood sugars, assess heart rhythm, scan the bladder, check Dobhoff placement, and etc. This instant diagnostic tool can further assist nurses in identifying the proper nursing diagnoses, develop a plan of care, and evaluate for effectiveness. These examples are only a few that our creative thoughts can play with at the moment. Yet, time has proven that nurses, as pioneers, have the willpower to break new grounds and grow in their chosen profession. And as we move ahead into what is yet to come, many questions arise regarding the effects of futuristic nursing towards humanity. Some may argue that the technological advances in nursing can dehumanize patient care and replace critical thinking skills. Time can only tell. And as time keeps on slipping into the future, so are nurses’ caring traditions. Caring for patients brings out a nurse’s critical thinking skill. The same critical thinking skill is what makes nurses break the barriers that stand in their way. With this determination, patient care will not be dehumanized, but be better off as a whole. Nurses care and find comfort knowing that their thoughts and actions are genuine and real. - Tweet that. Ultimately, nurses will continue to advocate for patients first and afterwards, technology. Wow! So many directions to go with this. Sign me up for the holographic healthcare provider. Actually, I find being able to take notes in real time via a digital recorder to be so helpful in the field when I'm seeing patients in the community, then heading to a meeting, then jumping on a conference call. This at least gives me an opportunity to remember my assessment more clearly, and I can add to it later or make edits before signing off. I know...Holographic technology will be so awesome. You are first on the list. Taking notes via digital recorder is a great way of storing documentations. Especially for a busy nurse who is always on the go, such as yourself. Nurses has done a wonderful job of keeping up and improving healthcare technology. Can't wait to see what will happen. Thanks for the great ideas guys. We always look to blogs like this to show our nursing assistants what the future can bring for them. Thanks again. Keep it up!! I'm glad the blog is able to inspire future nurses of the possibilities. I included a link of your site in my CNA resources. Nurses are permitted by most jurisdictions to practice independently in a variety of settings depending on training level. 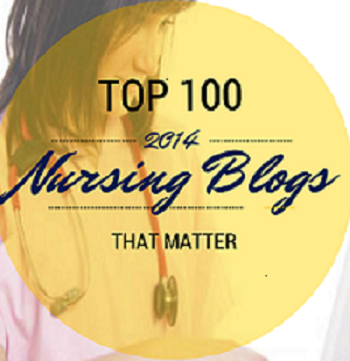 Well, I have a blog nursing capstone project ideas to make this profession better. Thanks for your great blog. I am very pleased to read this blog. This blog is very helpful for us. I know Electric hospital beds is very important for us. Having such a prestigious facility in the heart of the British capital is a sign of the growth and stature of private health care. I have read all the articles in your blog; was really impressed after reading it.Thanks for giving nice information from your blog.. Your Blog is really nice and informative,Thanks for sharing your valuable information and interesting article with smart content.. I really enjoyed your post..Keep updating your post.. Thanks for giving a beautiful information. The usage of this great technology is visible in this blog. Thanks for sharing this nice information. Very nice post..thanks for sharing innovative article..
Great and useful blog, keep up the good work and share more like this. Very useful and informative post! Thanks for taking your time to create such a wonderful blog. Keep sharing more posts. I totally agree that healthcare industry needs to inculcate a lot of new and creative technology to help the doctors and nurses. We can see technology has helped a lott of industries to ease up their businesses so why not healthcare too?